Music is such ephemeral stuff – it comes and it goes. So at the beginning of 2017, a resolution for the coming year was to commit some of my music to ‘tape’ – and start sharing it. I’ve been putting this off for some time, as I don’t like working in recording studios and home recording never really appealed to me. However, recording at home has reached a point where it is now reasonably straightforward. More crucially, you don’t need mountains of techno-clutter which was always going to gather more dust that recorded sound. How many of the 365 days in a year am I actually going to spend recording? Not that many in my case…. But before the fingers inevitably start to slow down and seize up and while the musical ideas are still flowing it seems the time was right to plug in and press the red button. Out of this process came “Days of Sun and Days of Rain”. There was no real advance planning or thought on how to structure this recording. The idea was just to follow a series of ideas in the directions they seemed to lead. Some pieces emerged fully formed after just a few days – others took much longer. The liner notes to the CD give much more information on the tracks and there is a series of articles on my blogs page which gives a lot more detail on the musical procedures. For those who want to explore further, you can download the music from iTunes, Amazon etc. You can also download and preview from the distributors, CD Baby – where you can also access the liner notes. For those who prefer streaming music, go to Spotify, YouTube Music or Apple Music. 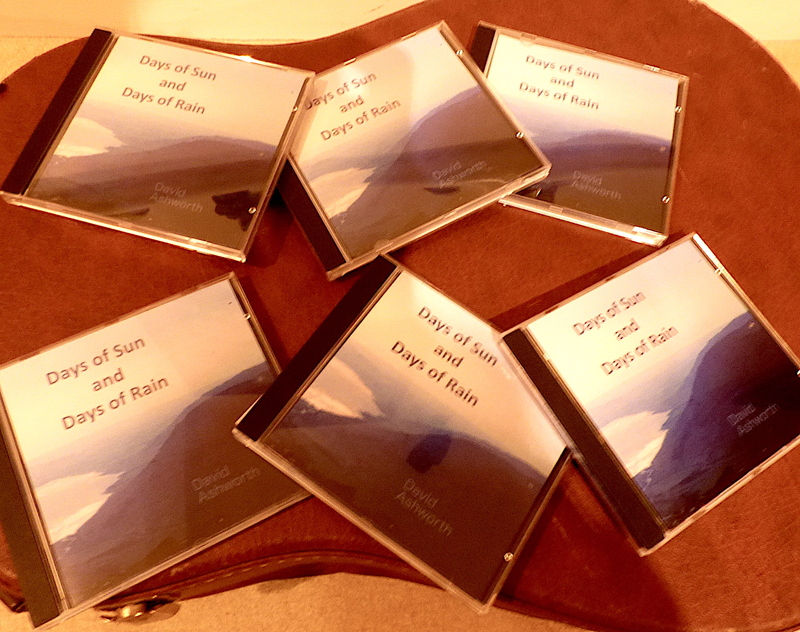 And finally, if you want the CD, just get in touch via my “Contact” page and I’ll send you an invoice.